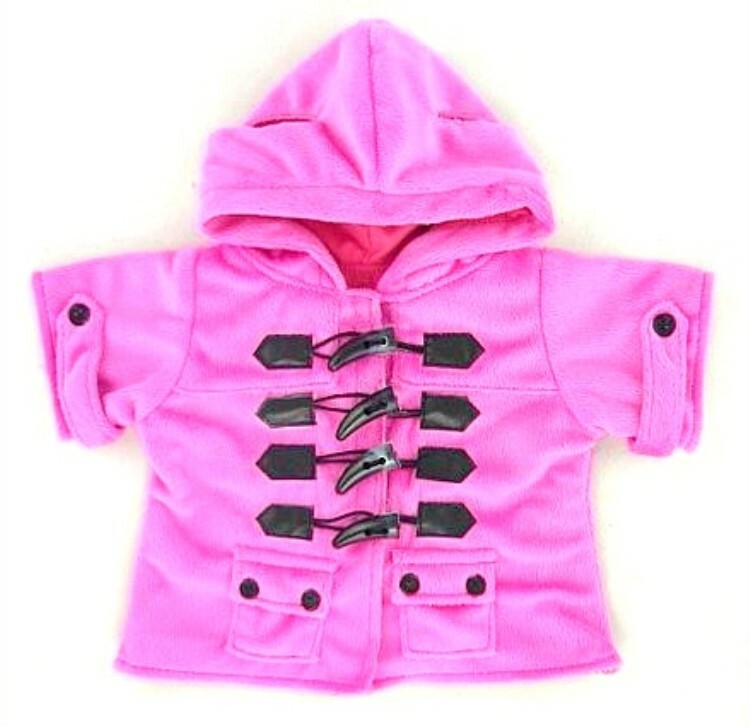 Teddy bear clothes Candy Pink Duffle Coat Jacket. Service jacket. Compatible to fit for Build a Bear, Argos Design a Bear and many more teddies of a similar shape and size.